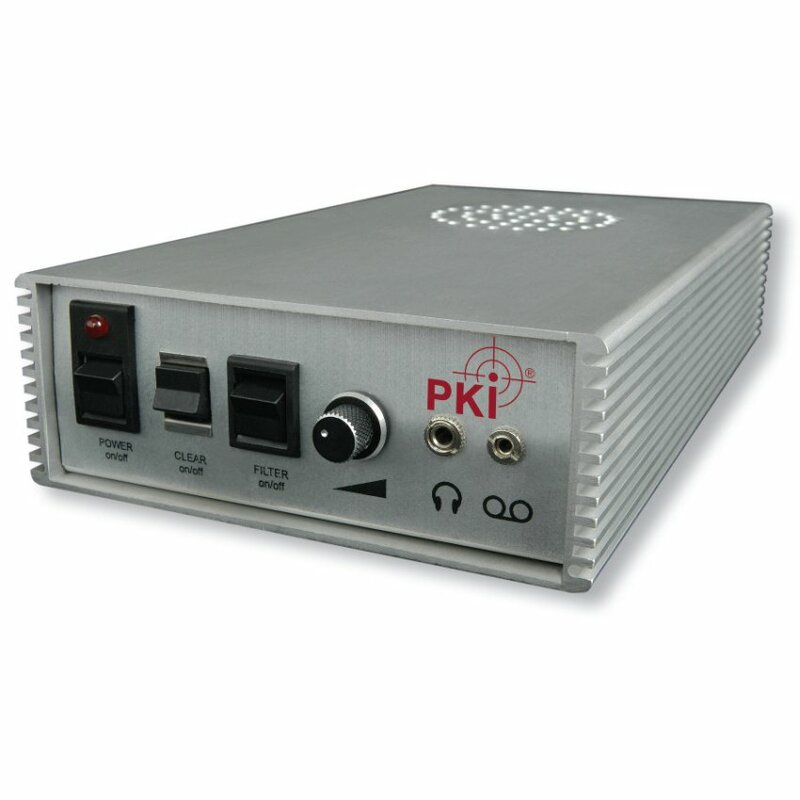 The PKI 4400 is designed as an easily portable acoustic noise-generating unit, which can be carried in coat-pockets or briefcases, in order to protect sensitive conversations inside rooms. The PKI 4400 Portable Noise Generator is very versatile, as it can be fixed on many different surfaces inside the room in order to protect sensitive conversations from being monitored. The typical application is found in conference rooms with critical areas like windows and non controllable adjacent rooms. It is suitable for walls, floors, ceilings, water- and/or heating pipes and windows. By means of the supplied 4 resonators, the unit creates a noise which, by its vibrations, disturbs every common microphone by overlapping the sound-waves of spoken words. The optimised voiceband noise masking reduces the effectiveness of eavesdropping devices such as contact microphones, wired microphones inside walls, battery operated audio transmitters or devices using mains power supplies for operation as well as laser-/ microwave- and/or infrared reflections from windows. Any environmental masking easily is possible by using several units of the PKI 4400 at the same location. The PKI 4400 can be mounted to any smooth surface by the use of the provided suction cups or just placed in any critical area.